Only t-minus one week til fans get #TOOBUKU at BUKU Music + Art Project 2018! This year expect more madness, more headbanging, and more LIT than ever before! To get you high off of those BUKU vibes, we’ve curated yet another #Road2BUKU exclusive guest mix, featuring one of the litest b2bs in NOLA history. 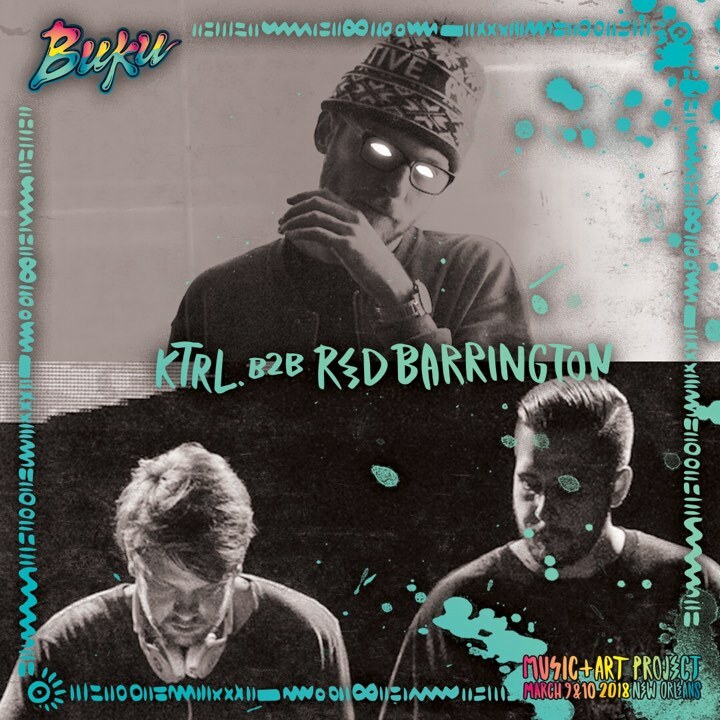 That’s right, we’re talking about RedBarrington b2b KTRL, back again to bring you the filthiest of bass. RedBarrington is an electronic music duo from Western Massachusetts, formed by Lucas Wieland, and Terry McCabe. They create a dynamic atmosphere every time they enter the stage. RedBarrington exposes every audience to a unique performance filled with huge sounds, and original productions. They started RedBarrington in 2014 and have shared stages with some of the biggest names in EDM. Born in Chicago, KTRL has been producing bass music for quite some time. Adam has released music on a multitude of labels, such as Buygore, Firepower, Brooklyn Fire, Super 7, and more. Kicking off 2016 with a debut tour, he soon found his music being supported by Dillon Francis, Borgore, Ghastly, and more. With an onslaught of music forthcoming and even more in the works, KTRL is set to have one noisy year. Without further ado, check out the exclusive River Beats’ #Road2BUKU guest mix series featuring all original music. What does “BUKU” mean to you? How many times have you been to BUKU? What year has been your favorite so far? “To us, BUKU means family! What is your favorite part about BUKU? Which artist on the lineup would you most want to collaborate with? What would that collaboration look like?